This is the story with a lot of auto dealerships in the country or probably the world. 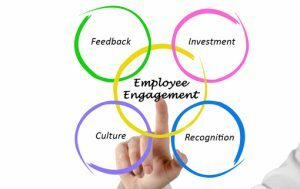 I found the CRE more empathetic, sensitised than the Manager. This is despite the fact, she handles all kinds of customers, day in and day out. Most angry customers she handles are essentially due to negligence and omission of her team members which is beyond her control. She is empathetic & caring by nature despite the dealership culture and her superiors best attempts to erode her qualities and program her just like them. And then we cringe, “Dealership Attrition rates are Skyhigh”. Tell me one thing, “Do people leave Happy Homes?” Only as an exception. Steve Jobs was often heard saying, take care of the Internal customers. The External Customers shall be sorted by default. Happy workplaces have vibrant, happy culture. They thrive on mutual respect, transparency, respect for brand and its core values. You take any training program for dealer sales consultants or service advisor of any auto maker. It mostly begins with the lines, You are the most important person in our business. You represent our brand worth USD X or Y Billion. For the customer, you are THE COMPANY, THE BRAND”.Customer doesn’t know us , they know you. So the Brand reputation , our Heritage, business all depend solely on you. Well surely it all depends on that poor guy but the material question we need to ask ourselves by keeping our hand on our heart : Do we really do enough for this Very Important Person. This front end person faces flak from customers, from Dealer Bosses, from OEMs Area Managers. He struggles to make ends meet if he works ethically ; Has to do multiple “internal follow ups” for Basic things like uniform, incentives disbursal, for support, for info. 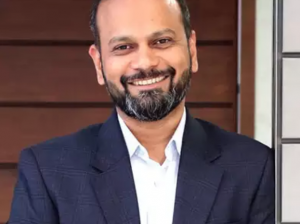 At the same time, most Auto Makers Board rooms and Meeting rooms are buzzing with brainstorming sessions of highly paid Executives, sipping black teas and black coffees, on how to empower this guy at the front end. Most Dealerships still don’t have an HR Department. There are no clear HR or Employee Policies except the ones pasted on the walls for formality. It’s a jungle out there! 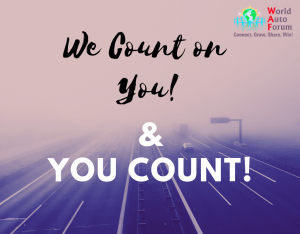 How about a National Helpline for your Dealer Teams – Friend, Philosopher, Guide, Coach – Is all they Need! 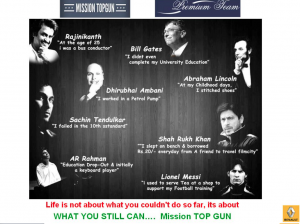 Back in 2013 My erstwhile Consulting Firm had done an interesting project for Renault India called Mission Top Gun. We had created an army of 110 suave, dynamic Sales Professionals with great communication skills and product knowledge and they were called Top Guns. In the era where a consumer helpline is the only helpline, we pioneered in setting up a Helpline for these top guns. Issues like pending incentive, uniform, competition comparison, product knowledge, counselling, we provided on request. They just needed to call, email or whats app for help! This pathbreaking initiative was the Brainchild of Sumit Sawhney Country CEO & MD Renault India, who back then was the ED – Mktg & Sales. There was a senior Top Gun whose incentive of 25K was stuck at the dealership for a while. It was a big amount for him. In disgust, he left the dealership and joined a rival brand. Around the same time, his wife fell ill and had to be hospitalised. He needed money desperately to pay the Hospital Bills. He called the Top Gun helpline. He mentioned, his new and current employer ie the rival brand dealership cant issue him advance as he has freshly joined. If we can help him get his outstanding incentive, he shall be profoundly grateful. He had left the job as a TopGun. He was helpless. The industry practice being, you leave job, you leave your incentive. We had to intervene, take help of capable officers at Renault India. We got his incentive released. He paid his wife’s hospital bills. Few days later , he called on the Top Gun helpline. He spoke in a choked voice with a heavy throat…. I have a conviction! Take care of your teams. Be there for them. Foster a Winning Culture with empathy. Be transparent and fair in your promises to your team. Pamper your teams. Engage not just them but also their families. Your Business Success shall be UNSTOPPABLE! We have shining examples amongst Dealer Principals like Nikunj Sanghi, MD JS Fourwheel Motors. He has given Maruti Suzuki Vehicles to all his 30+ Managers at all his Group Outlets at Alwar, for their professional and personal use. The local Alwar Maruti dealer was zapped when he received an order of 30 + Brand New cars from Mr Sanghi’s Office. On the D Day, there were 30 Maruti Suzuki cars parked outside Mr Sanghi’s Dealership and the entire town thought he has taken the Maruti Dealership! When asked, Mr Sanghi responded,”My Top team used to commute by two wheeler and sell 4 Wheeler vehicles. I saw this as a disconnect. So just did the needful”. There was a special ceremony organised for the hand over of cars. The Employees came with their families. During the Ceremony, there wasn’t a single eye which was not moist. Similarly, we have the 15 Years Young Auto Retail Group at Ahmedabad, Gallops Motors. They also have dealerships at Mumbai. Most of their Top GMs joined the group as Sales consultants or Service Advisors a decade back. They pay incentives to their teams at all Outlets at all locations in N+1 Month, something which the Group’s MD personally ensures. Such DPs and Dealership groups are an exception and not the Rule. Subhajit Roy calls 1000 of his customers from his own handphone to know if they have any issue or complaint with their vehicle. He is not a CRE with a dealership or HO. 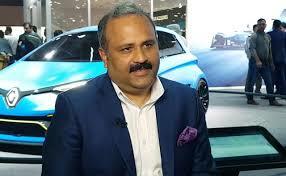 He is the Senior GM and After Sales Head at Tata Motors PVBU – Domestic & International. Subhajit and his teams also ensure they engage not just their service advisors and technicians pan India but also their families, making it one BIG Tata Motors Family. 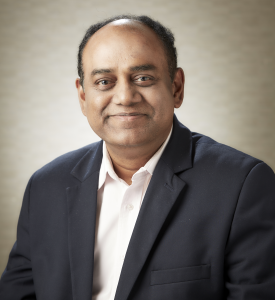 Subhajit walks the talk when it comes to customer connect and sets the precedence how we need to go beyond designations, positions, KRAs, Egos to be truly customer obsessed. You can have the best managed Auto Business at Supplier, OEM or Retail end. But if your product / vehicle is not reliable or if it has a high cost of ownership which often leads to a low product resale value, you are preparing to fail. More often companies launch products in a haste, to be seen that they are in business and thereafter they perpetually fight product failures in a reactive way. This exacerbates customer dissatisfaction and eventually kills the brand. Have you tested your Mules with 2000 Samples of Fuel from across India ? Takes us back to B School when we studied in detail the American Vs Japanese forms of Management. The Time and Resources spent on Planning V Execution. I sincerely feel for a tough market like India, we cant afford to spend any lesser time and effort on Planning. By planning I mean, selecting, validating, testing, fine tuning the Product to the “T” , till its India ready. I remember, when Honda entered India back in 1996, it took them, almost 2 years to launch their first Product, the First gen Honda City. They took just an year to build the factory. They spent most of those 2 years on testing, validating the product, ensuring it is India ready from the word “Go”. Honda R&D engineers drove the vehicle on 2000 petrol samples from across the country to finetune the engine and map the ECU. Thats how you launch a product flawlessly. The MD’s office Maruti Suzuki reviews its After Sales Division on a weekly and monthly basis. The After Sales Head at the same company held an Executive Director position for several years. As part of Job rotation, employees are brought from other departments, including the more glamorous Sales & Mktg to work in After Sales function. What is the effect ? Maruti Suzuki controls market share excess of 50%. Ghar Ghar Maruti is achieved by actual and perceived Lowest Cost of Ownership, thereby enjoying a great resale value and repeat purchase. This leads to a powerful word of mouth in the offline and online world, the latter now influencing 90% of Car Purchase Decisions as per the latest Google Report. Maruti Genuine Parts (MGP) are available through 7000 Parts Sales Counters and Dealers across the length and breadth of the country. The Maruti Workshop network and the mechanics attached to the MGP Stores ensure product support is at an arm’s reach. You can’t find the same parts cheaper than an MGP. Maruti has contracts with their suppliers and can lead to their termination, if they sell same parts cheaper than MGP in open market. On the other hand, this has also been the subject matter of a slew of suits with CCI, where the issue was compared with generic drugs. Probably its a lil premium we pay to ensure genuine parts & quality services are ubiquitous. Having said that Generic drugs or Generic Parts cant be subdued or dismissed and thus are always socially relevant and important whether its citizen’s health or that of the vehicle. Now every Auto Maker Cant be Maruti Suzuki. For most companies it’s a Chicken and Egg Fiasco. How to ensure low prices & good availability of spares and services at lower volumes. But there is no escape. You have to ensure customer request is fulfilled in the lowest time frame. Your Turn Around Time is competitive, if not the lowest in the Industry. Here one can learn from the Banking Industry. The New banks like Yes Bank and IDFC Bank, make up for their scanty ATM and Branch Network by giving home or office services which are unparalleled in speed and quality. They let you use other bank ATM’s and absorb the extra charge as an investment for Customer Convenience. These New Banks ensure you find the established ones slow and old school despite the latter being established and deeply entrenched. The newbies simply win you as a customer! Something to learn here! So it’s prudent to be innovative, to harness Digital, get the Service Support out to the customers at Most Affordable cost and really quick to win the battle. OR lose the battle and then spend resources later to give CPR to your half dead brand! Cost of Ownership- COO – Resale Value – Repeat Purchase is one crucial cycle, we need to inevitably master or face Market Annihilation. You speak to any Auto Dealer, Any Product, Any Brand. The challenges are common. Increasing Real estate prices and lesser options of good locations. High attrition ratio. Difficulty to find good talent and excessive time and resources spent on training & retraining. The showroom walkins have reduced drastically. Customers get more information and reliable information from the manufacturer website, aggregators and online forums and even their Whats Groups. In next 10 years, we might not need full fledged Showrooms. We might need smaller workshops too as most Periodic Maintenance work might happen at the Customer’s Home of Office. We surely need smarter, more digital savvy workforce which exudes warmth and empathy. Jan 2, 2004, my first day at General Motors. I bump into my India MD outside the washroom. He tossed a question at me which probably only he knew, would be immensely relevant 15 years later. 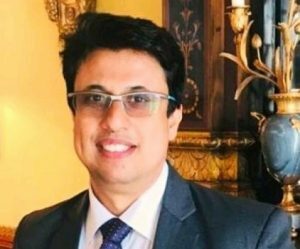 He asked, ”Anuj what stops us from benchmarking our Dealer teams with Crew at Jet Airways and Staff at the Taj ?” He was surely a visionary. 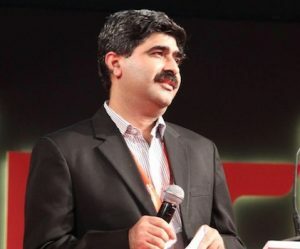 His name is Aditya Vij. More than 75% cars sold in India are Mass Segment. Their owners might not be visiting a Five star or flying a premium airline on a weekly basis but they might be surely visiting a CCD or a Costa Coffee where the experience is special and memorable. So why should the customers feel out of place when they come to an Auto Dealership. It should be an extension of their comfort zone. We at the Auto Industry, need to step out of our comfort zone, to ensure customer doesn’t step out of his Comfort Zone and our Business. The Facility managed by another service provider or providers who do for 5 Star Properties. Higher ROI & ease of Doing Business for all Stakeholders. 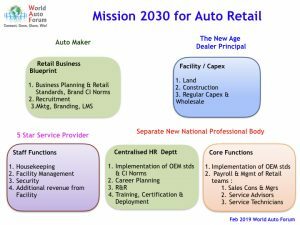 Talking about retail innovations, Waterless Dry Washing of Cars at Dealerships was pioneered as a Pan India Initiative by Maruti Suzuki in 2016-17. Each Dry wash saves around 120 litres of water per car. Just imagine the lakhs of water saved everyday when you service thousands of cars daily through your pan India network. 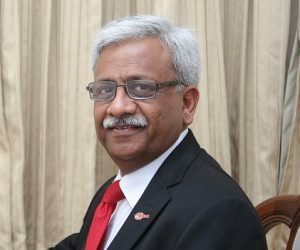 However it was S Punnaivanam, Head After Sales, Hyundai Motor India and His team who closed the Loop on this Innovation. They too adopted the Waterless Dry washing across their 1254 Network Workshops but with a difference. They donated the saved water to drought affected villages in the Country. Now that’s how you make your Innovation really impactful. The Auto Maker should do what they are best at and that is Design, Manufacture Great & Safe Products. Come with new Retail Innovations and Standards. Market and Sell them well! Listen to the Customer, Focus on Kaizen of all the aforesaid points. Data is the New Oil. By 2030 it shall be Oxygen! 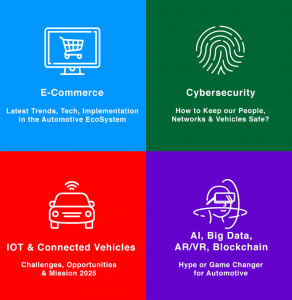 The New Tech like AI, Blockchain, IoT, ACES shall completely transform Automotive in next 11 years. In fact its already Begun! We have already seen the recent Google Report which says 90% sales Leads are digitally influenced. Well! thats the tip of the Iceberg. 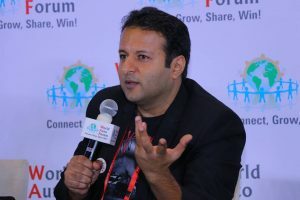 AI, Blockchain, IoT shall penetrate every layer and sphere of Business. 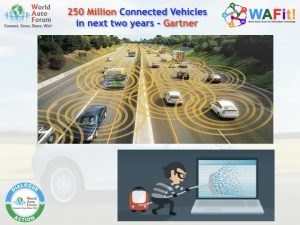 The race is “ON” to apply IoT to every asset and thereby produce, analyse and action the Data using AI. Back in 2002, during my days at Honda, I was sent to the Finished Goods Yard on 31st March – Month end, Quarter end, Fiscal Year End. We had a task of invoicing 300+ cars before midnight, which back then, was a herculean task. We had a mini celebration at Midnight when we accomplished the target. 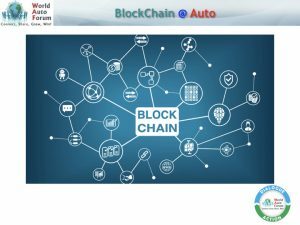 Now all you need is a combination of a Camera which can read truck reg no, AI Software and Blockchain and you can invoice thousands of cars in the same time simultaneously across geographies. And yes you need a good internet backbone too! 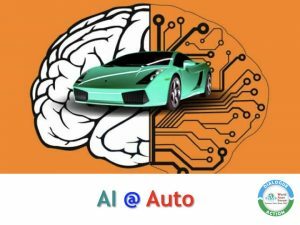 You have Cloud AI powered CRM Systems by which you can make your dealership go paperless and say bye bye to Excel Files. You can do voice search of customer interactions for good and bad feedbacks. You can gamify your sales teams target reviews and R&R. You can get lists of 20% things, customers, points which contribute to 80% of your business. Autoninja is making such cutting edge apps. They are also our Annual partner at World Auto Forum. CyberSecurity shall be an important focus area. The ECU which was a cubby little thing in the car, gets connected to the Cloud posing serious hack threats. 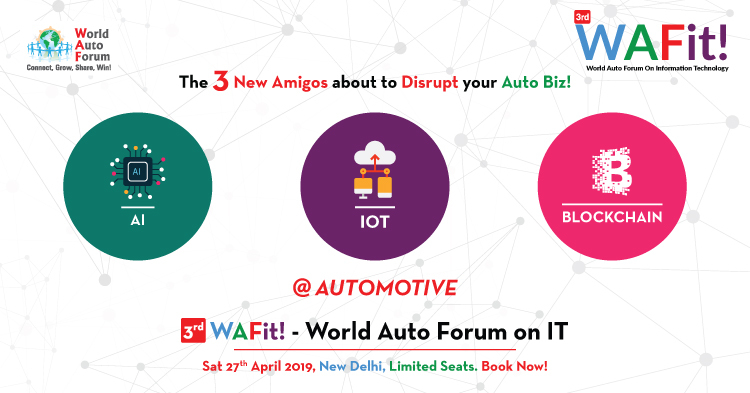 World Auto Forum is already working with India’s Leading IP Law Firm SaiKrishna & Associates on Legal Standards for Connected Vehicles. You might be getting more immersive engagements of the Product via AR/VR at your Home or Office than at your Office. 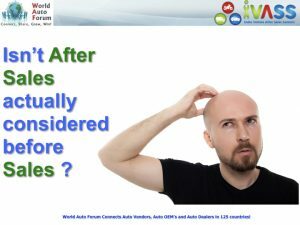 There might be Dealership Businesses without any Showrooms! We shall have detailed discussions on these at 3rd WAFit! 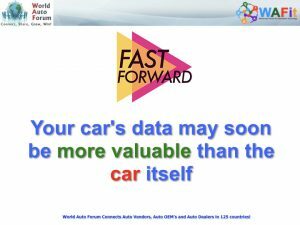 – World Auto Forum on IT. Join us if you are around. Sat 27 April, New Delhi. Green Dealers – The Only way to do Business is Go Green! And coming back to the petrol in my car’s diesel tank, ironically I got the right advice from a close friend and past colleague working with one of the CV makers. Even the national after sales head of the company, my car belongs to, was too busy to take the call or even bother to revert later! The other end of the spectrum is Subhajit Roy who personally calls 1K customers from his handphone through the year! Its time to change, time to reinvent and it’s time to get all stakeholders onboard. It’s time to move forward together! Pls Feel free to Share Feedbacks in the Comments Below! An Engineering Graduate from Nagpur University and an MBA from IIT Delhi, he also has an LLB degree from Faculty of Law, University of Delhi.